We identify four major policy opportunities for government in 2019. Welcome to the EY 2019 Global Macroeconomic and Policy Outlook for government and the public sector. Each New Year, partners of EY member firms and analysts in EY Global Government & Public Sector take time out to anticipate the most important issues affecting the policy agenda for leaders over the coming year. We debate policy priorities, strategies and challenges in areas such as trade, public finance management, governance and service delivery. This discussion helps us identify the key trends we believe will determine the macroeconomic and policy environment for the coming year. A decade on from the global financial crisis, governments face the prospect of a market downturn. The global economy is palpably weakening: growth for 2018-19 is projected to remain at 2017 levels, but cracks are emerging. Factors including slowing growth in China and emerging markets, increasing global trade tensions and rising interest rates are creating significant risks and dampening consumer demand. The next recession might not be caused by one big shock but by the combined impact of several smaller shocks. Governments may find themselves less equipped to react to a potential downturn with the fiscal stimulus they employed a decade ago: interest rates are rising, but still remain at historically low levels and public debts are high. There is little appetite for further austerity measures or bailouts. And with wage growth anemic, pulling an economy out of a spiral will be more difficult. National governments, central banks and international organizations must plan now for a future crisis, including preparing for possible scenarios to increase the resilience of the global financial system. The international collaboration that helped to weather the last financial crisis – including the creation of the G20, collective commitment to shore up banks and agreement to refrain from protectionism – has waned, meaning cooperation is likely to be more challenging. National governments, central banks and international organizations must plan now for a future crisis. Regulatory and supervisory structures must keep up with changes in the financial system, to help it withstand a wider range of shocks. And it is also crucial to ensure adequate levels of liquidity can be provided to stabilize markets if required. But more radical ideas may be needed, including negative interest rates, a more targeted form of quantitative easing to revive economic activity and tax incentives to stimulate private sector investments. Alongside these economic challenges, there is declining public trust in major institutions – business, media, government and NGOs. In 2017, Edelman’s Trust Barometer found trust had fallen across all four of these institutions for the first time, a trend continued in 2018. Meanwhile the Economist Intelligence Unit’s Democracy Index highlighted a decline in popular participation in elections, weaknesses in the functioning of government and growth in the influence of unelected, unaccountable institutions and expert bodies. Governments can take steps to regain people’s trust, for example by making data more open and accessible; involving the public directly in shaping policies and budget priorities; and strengthening accountability by ensuring contracting and commissioning reflects public service values and creates better outcomes. This backdrop of tightening economic conditions and diminished public faith in traditional institutions makes it all the more vital for governments to respond effectively to the four major opportunities that lie ahead in 2019. Businesses, entrepreneurs and governments have invested trillions based on the assumption that an open world trading system and global supply chains would be a permanent fixture. Yet now, as global GDP growth weakens, governments are abandoning this system in favor of protectionist industrial policies – rattling markets and forcing companies to reshape their operations. The impact on the global economy, businesses and consumers could be significant, with the total tariff values enacted by the US and China reaching as high as US$235 billion, and affecting nearly US$650 billion in goods. Governments should focus on fixing areas of disagreement through negotiation rather than emergency measures. Sweeping tariffs will more likely do more harm than good. These escalating global trade disputes, coupled with the rise of populism, have put multilateral organizations such as the World Trade Organization (WTO) and United Nations (UN) in crisis, with G20 trade and investment ministers and the European Commission calling for urgent reform. Governments must bolster the rules-based order that has governed the global economy since the end of WWII. If that means making changes, this should be done by international consensus and collective action. 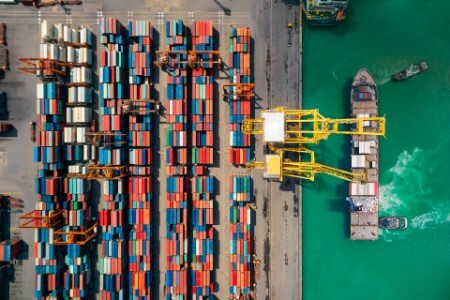 How governments come together to address the global trade environment and refashion how multilateral organizations work will determine the future of the global economy. AI is the transformative technology of our time, with governments, businesses and citizens all concerned that society is unprepared for its rise. There are fears that AI-driven machines will eventually outsmart humans; that susceptibility of AI systems to bias and unethical choices could widen inequalities in society; and that security could be undermined by the risks of cyber attack or autonomous weapons. These worries are exacerbated by the struggle for technological supremacy between the leading world economies. This emerging tension places a strain on the future of global technology governance, meaning the ethical and moral questions surrounding AI will be a pressing issue for world leaders in 2019. The first moves toward coordinated AI regulation are underway. There is a push within the UN to adopt a new charter of rights for the global AI revolution, while the EU has assembled a panel of experts to draft ethical guidelines. Meanwhile, the AI Global Governance Commission, a unique body of governments, industry and civil society, is working to deliver the global convention on AI. To develop sound AI policies, governments must build internal technical expertise, rather than relying on stakeholders with their own interests. Policymakers should work with businesses to adopt ethical standards in the design of AI systems, as well as making use of common sets of ethics or codes of conduct, such as the Asilomar AI Principles (a set of 23 guidelines intended to promote the safe and beneficial development of AI) and the leading practices on AI systems established by the technology industry consortium Partnership on AI. Citizens must be given legal certainty on how existing laws and policies relate to AI, including how traffic laws apply to driverless cars and how medical negligence laws apply to wrong diagnoses. Governments must also strengthen regulations on the use of people’s personal data. Finally, they must involve diverse, multidisciplinary teams to reduce the potential for bias and discrimination in AI, and use enough data to prevent algorithms from being skewed toward a specific outcome. Poverty reduction has been at the center of countries’ development efforts for decades, and yet almost 800 million people still live on less than two dollars a day. Many of the affected countries are “fragile” states, burdened by decades of conflict, economic underperformance and weak state institutions. But poverty eradication remains an issue even in the developed world: in November 2018, the United Nations special rapporteur on extreme poverty and human rights reported that one fifth of Britons live in poverty. What levers do governments have to alleviate the problem and drive more inclusive and sustainable growth? The UN Sustainable Development Goals commit countries to adopting nationally appropriate social-protection systems. But today, only 45% of the global population is effectively covered by at least one social protection benefit, while in Africa the figure is just 18%. With global disruption creating a less stable working environment, the traditional, payroll-based insurance system is no longer relevant. Governments must reinvent traditional social-protection systems to balance equity and financial sustainability, and to enable interventions that are targeted to specific individuals, including informal workers. Lower-income countries have an opportunity to leapfrog traditional approaches to social programs. Governments should be proactive in exploring new financing options such as micro-insurance platforms and “nudges” that incentivize people to make flexible, voluntary and cashless contributions. With government top-ups, this helps informal workers to gain coverage. Governments and multilateral organisations are investing heavily in delivery systems and related technologies. Social registries, digital IDs and payment mechanisms can help connect people to basic social services, lift them out of poverty and enable them to contribute to their economies and societies. The growing popularity of targeted cash-transfer programs for the most vulnerable households reflects the lower implementation costs made possible by the use of digital technologies. Broader programs to build state capacity and facilitate inclusive growth will be vital. With young people disproportionately affected by poverty, a greater focus on education, skills training and support for new individual enterprises should be at the heart of anti-poverty policies. Global carbon emissions reached an all-time high in 2018. As environmental risks and extreme weather events increase, a landmark 2018 UN report warned the planet has just 12 years left to prevent climate change disaster. The World Health Organization estimates that 230,000 deaths annually will be attributable to climate change by 2030, while the World Bank believes 100 million more people will be living in poverty and 133 million will be climate-migrants. The estimated economic cost of climate-related disasters worldwide has skyrocketed, from US$895 billion between 1978 and 1997 to US$2.25 trillion in the period from 1998 to 2017, and is set to grow further. As well as making significant reductions in greenhouse-gas emissions, governments and multilateral institutions must start investing in resilience upfront. Many are already incorporating resilience into urban policy and infrastructure design in order to reduce energy use, carbon emissions and vulnerability to the impacts of climate change. Improvements in weather forecasting and early warning systems will also help enhance preparedness for climate-related natural hazards. The World Bank is to double investments in climate action to US$200 billion, with equal weight on curbing emissions and adaptation measures (such as building more robust homes, schools and infrastructure, and preparing farmers for climate change). According to the OECD, US$95 trillion in global infrastructure investments is needed by 2030. However, budget constraints mean that funding from governments and international organizations will not be sufficient, necessitating partnerships that leverage public and private capital. Private investment is currently low, dampened by insufficient regulatory incentives and the need to substantiate a business case for investment. So governments need to reduce the risk of investing in resilient infrastructure projects to attract private-sector involvement. They must join forces with companies to develop strategies that incorporate resilience leading practices into the design, construction, financing, operations and maintenance of all future infrastructure projects — whether through traditional procurements, PPPs or innovative financing mechanisms such as green or social impact bonds. In 2019, as old certainties continue to dissolve, the landscape for governments will doubtless become more challenging. But there are opportunities, too. Flexible and far-sighted governments can help forge a new world order by embracing policy innovations, forming partnerships with the private sector and with reformed multilateral organizations, tightening regulations where necessary, and developing global governance and standards for adopting technology. The backdrop of tightening economic conditions and diminished public faith in traditional institutions makes it all the more vital for governments to respond effectively to four major opportunities that lie ahead in 2019: shape the future of global trade and multilateralism, find effective ways to regulate AI, tackle poverty and inequality through innovative social-protection systems, and build resilience to climate change.